Talk to us now about our deep carpet cleaning in Glenroy 3046, and you'll be able to enjoy the benefits of one of the area's leading cleaning services! Our advanced equipment and techniques allow us to inject shampoo right into the weave of your carpet, shifting even the most stubborn of stains. When you book our carpet deep cleaning services in Glenroy, you'll be taking advantage of some of the leading carpet cleaners around. Our team all come fully trained, and with extensive experience - as well as access to some of the latest state-of-the-art cleaning tools and technologies! Our deep carpet cleaning in Glenroy follows the guidelines laid down by our tried and tested nine-step carpet cleaning technique. There are numerous benefits that our customers will be able to enjoy from this... here are a few of the things you'll be able to look forward to! 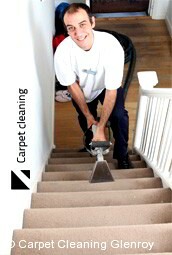 Firstly, you'll be amazed at just how effective our deep carpet cleaning is! By injected hot cleaning solutions deep into the weave of your fabric, we're able to remove even the toughest of built up dirt and grime. You don't need to worry about shifting heavy furniture around, when you book us - our staff will remove all furniture prior to cleaning, as well as carefully replacing it afterwards. Drying won't take long, either! Within just three to four hours, you'll be able to walk on your carpets again. 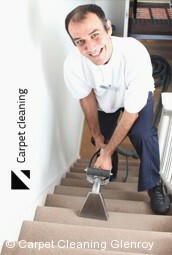 Book Deep Carpet Cleaners Now! Give us a call now - on 03 8672 2750. Our lines are open 24/7, and we'll be able to answer any questions you have... or assist you to make a booking. On top of that, our friendly team of staff will be only too happy to offer you a free, personalised quote on deep carpet cleaning in Glenroy! On the other hand, if you want an immediate response you can even use our online form to request a quote right this minute from our deep carpet cleaners in Glenroy. "Honestly, I didn't think that my rugs will have their original look again, but they do and this is entirely thanks to your cleaning. I'm glad I..."
"I wanted to share the experience of your professional cleaning. I hired your company for the second time and I really didn't think you can surpass your..."
"Sometimes more than everything else I need to relax. Thanks to your professional cleaning I can do that during the weekends and still have a wonderfully..."